Dixon Hill is Mt. Washington~s answer to country living inside the city line. Steps to Whole Foods, Mt. Washington Tavern, Village Shops, Light Rail, Mt Washington Elementary School. This enchanting location is perched high up on a quiet hill. This grand dame is nestled amongst patios and gardens on .87 acre of land with sweeping views over the Jones Falls Valley. Lots of space to grow and play here. 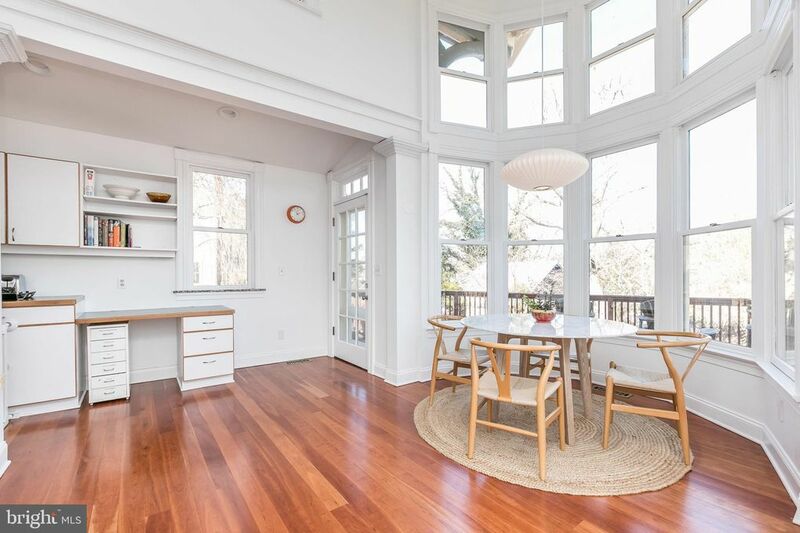 First floor has a large double living room with wood burning fireplace, den, dining room, and massive sundrenched kitchen granite counters, cathedral ceilings, Palladian window and skylights overlooking a wrap-around deck, mud room, laundry and powder room. The second floor has master bedroom with attached bathroom, dressing room and/or nursery, plus two additional bedrooms and hall bathroom. The fully finished third floor has two bedrooms plus common space for playroom and hall bath with darling clawfoot tub. Darling stone patio off the kitchen and dining room. The basement is an unfinished cellar with new boiler, hot water heater and space for a workshop. Central AC on first and second floors only. 2 Car Garage. Unique opportunity awaits a savvy buyer looking for history, convenience and location. Tenant occupied through 7/28/19. 24-hour notice required for all showings.